An excellent night was held down the National Botanic Garden of Wales last night with over 150 people in attendance. 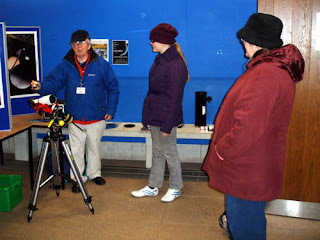 Astronomical talks were held in the Rotunda while members set out scopes, binoculars and video equipment outside. 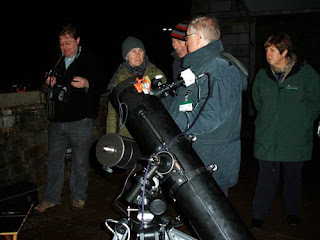 We had fantastically clear skies and observed Jupiter, the Moon, Mars and the Orion Nebula, as well as pointing out winter constellations such as Orion, Gemini, Taurus etc. I have been working with Mintron Enterprise Co. Ltd of Taiwan on the development of a new, colour, deep-sky video camera to be used for observing and also Imaging. The camera testing is complete and is now in production. The name of the camera is the 72S85HP-EX-SW-OMEGA 1/2" chip colour deep-sky Mintron. These cameras can only be obtained from Telescope Planet. 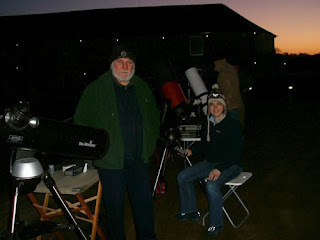 Before Christmas I took the camera to the Fairwood observatory where a number of members meet on suitable Fridays for observing sessions. 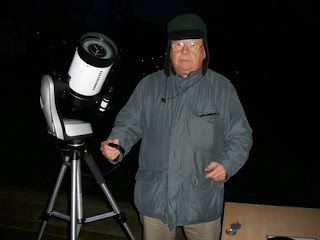 We used the camera for observing deep sky objects in real time on a 7" LCD TV screen. 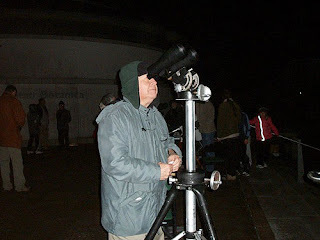 We used a 5" f/5 Newtonian on an AZ GOTO mount. 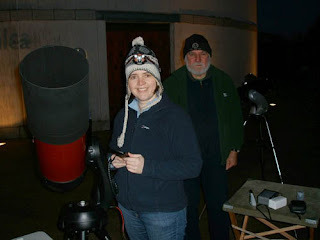 The most notable object we observed with the camera was the Orion Nebula. The video stream was captured at different levels of frame accumulation to DVD. 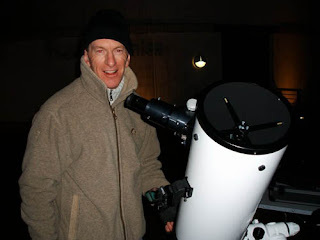 The unique images were captured directly from the Vob files on the DVD as shown in my article in the December 2009 issue of Astronomy Now. 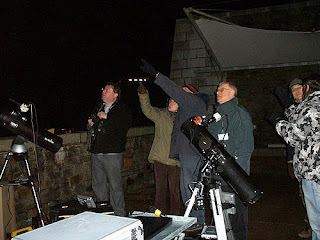 My talk to the Swansea Astronomical Society on February 25th will explore this aspect of astronomy in detail.